Maintaining the tactical styling and solid feel of the M&P (Military & Police) Series, this Smith & Wesson M&P Ultra Glide Flipper Knife features a 7.28cm 8Cr13MoV black drop point blade. 8Cr13MoV is a high-quality stainless steel similar in properties to AUS-8. This steel exhibits extreme toughness and excellent edge retaining capabilities. The Ultra Glide technology in the pivot makes the blade deploy in an instant. The handles are made from rubberized aluminum and stainless steel liners. 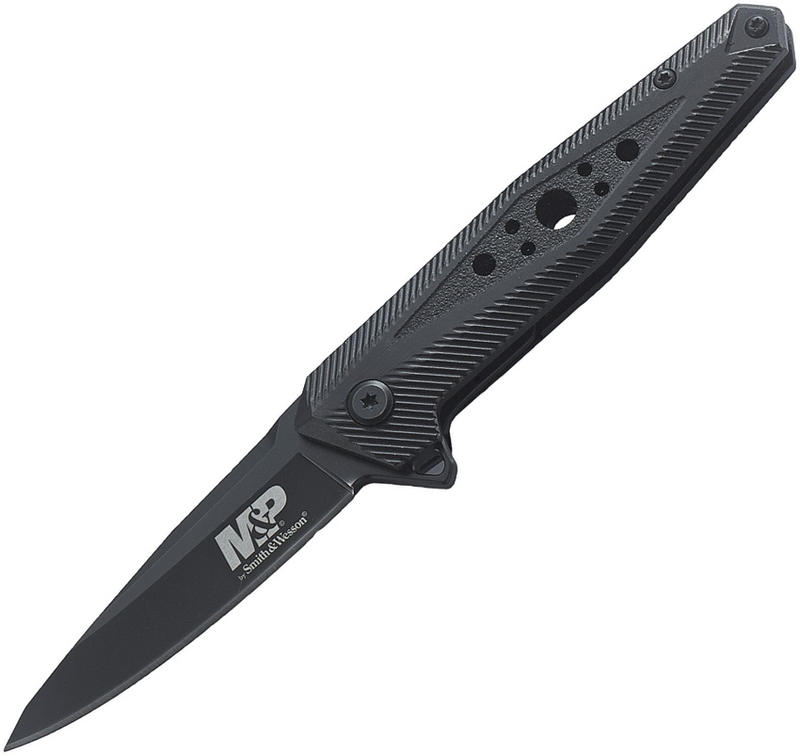 This M&P Ultra Glide Flipper Knife is a great value tactical folding knife from Smith & Wesson.